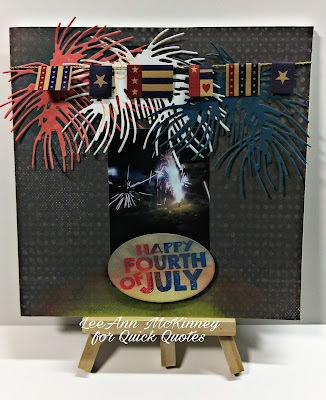 Greetings friends and fellow crafters, LeeAnn here today, it is the first Friday of the month and that means it is time to reveal the July Challenge. Be sure to stop back at the blog this weekend for the Challenge Winner Announcement for Friday Challenge 76 - "Masculine Cards or Projects". I created a 6x6 4th of July project to sit on the mantel for years to come. Using papers from several of the Quick Quotes sets I put this project together, and hope you enjoy it. Using Serenade 103 I cut a 6x6 panel to cover my canvas. 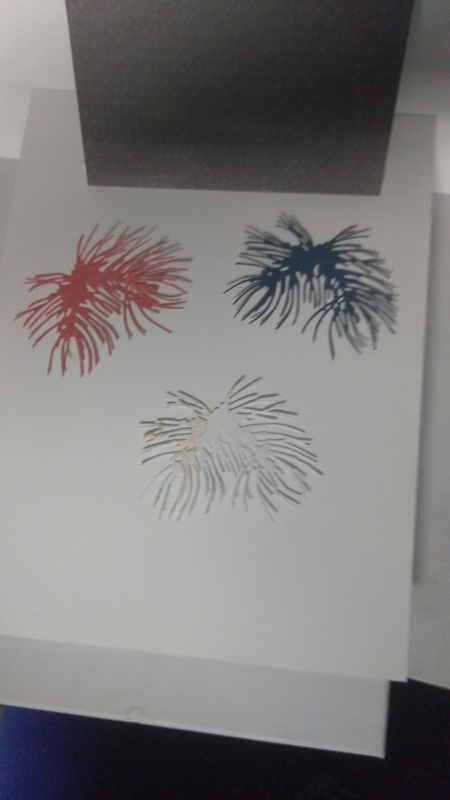 Using Serenade 102, Anchors Aweigh 100, Adventure Awaits 101 and a Pine Needle Die, I ran each panel through my Big Shot and turned the cut upside down to simulate fireworks. I used my Canon Selphy CP1200 to print a photo from our fireworks my husband set off this year. This machine is the easiest printer I have ever used. I just open the Canon Print app on my phone, choose the image I want to print and hit print. It goes to the printer and does its thing. I used Buttercup and Sunset PowderPuff Chalk Inks to blend a sunset at the bottom of the 6x6 panel. Next, I used a small piece of the opposite side and stamped out Happy 4th of July using Royal Blue and Red Lipstick PowderPuff Chalk Inks. I blended the Buttercup and Sunset along with Warm Grey over the top so that it would blend in with the background. I then cut the blended piece with an oval die and used foam dots to pop it up. I used double sided tape to adhere the fireworks, and the photo paper is actually a sticker. I then found this flag banner that is leftover from a project my daughter did in middle school (11 years ago) and added it along the top. I really hope you enjoyed this project. 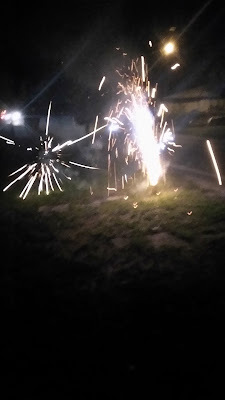 I had a great time making it and again plan on setting it out each year. Thanks so much for stopping on over, we can't wait to see what you create this month! 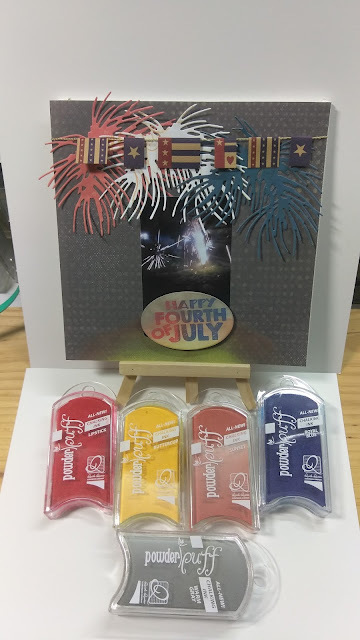 This month's challenge theme is "Red, White and Blue".